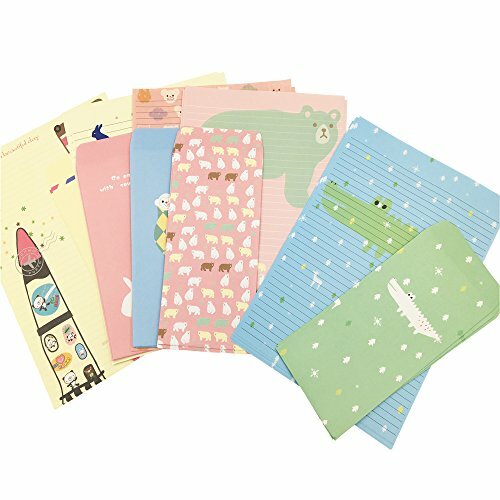 30 Lovely animal Writing Lined Paper Letter Stationary Set With 15 Envelopes for kids. Random 5 different styles(Each style is including 6 sheets writing paper + 3 envelopes). Use high quality craft paper.Lovely animal style,good gift for kids. Styles as the pictures(random styles will be sent). If you have any questions about this product by QingLanJian, contact us by completing and submitting the form below. If you are looking for a specif part number, please include it with your message.